Sunday 21th October, 7:45pm. GFT, 12 Rose street, Glasgow. 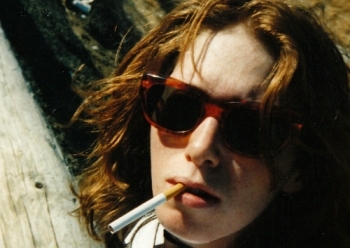 Hit So Hard follows the journey of Patty Schemel, the openly gay drummer of Courtney Love’s seminal rock band Hole. As a young rebel who always knew she was different from the other kids in her small rural town, Patty never dreamed she would one day have her picture on the cover of Rolling Stone. She also never imagined that she could lose it all. A true survivor of the disaffected ‘slacker’ generation, Patty found herself, like her friend Kurt Cobain, embraced by the dark side of the music industry. This Lock Up Your Daughters screening is part of this year’s Glasgay! and will be introduced by Lauren Mayberry (from the band Chvrches) . You can buy tickets at the GFT cinema webside.